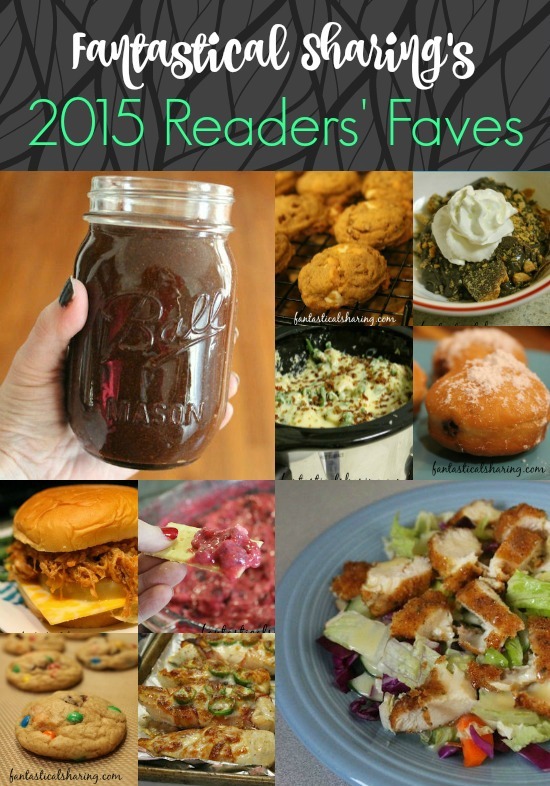 Today, we are sharing what READERS found to be the best recipes on our blog for 2015. Let's see what made your all's favorite list! Happy New Year's Eve! Happy Last Day of 2015! Happy Where Did the Time Go?! Today, we are on the second to last day of the Countdown to 2016 - obviously because tomorrow 2016 starts. Today's category is Most Popular/Readers' Faves. We are looking at the most viewed recipes on our blogs in 2015. I didn't specify and left it up to the bloggers to decide if that was all-inclusive to every recipe on their blog or if it was contained to just 2015. I personally chose to shared just 2015 recipes. Otherwise I'd be sharing the same 10 recipes year after year. I think only my #1 recipe creeped up into the top 10 of all-time on my blog. 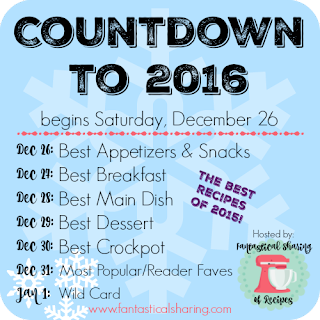 Anyways, let's see what made everyone's lists for the most popular dishes on their blogs in 2015!! Jalapeno & Cheese Grilled Chicken - North of 10k views for this one, all in the last month or so. I was really surprised when it took off because it's not necessarily a big "wow" when you look at it. It's a big wow when you eat it :) I have made it so many times since that first time. M&M Chocolate Chunk Cookies - My next most viewed clocks in around 3500 views...that's why #1 is such a big deal :) I love a good chocolate chip cookie, but love M&M cookies too. Loved the idea of a combo and Sally never lets me down with a great recipe. Berliners - I made these for Secret Recipe Club - they ended up being really good. They are little donut-like, Nutella-stuffed pastries that are fried. Christmas Cranberry Dip - I didn't actually follow the recipe for this one LOL. I kind of winged it and it turned out to be a great recipe. Tart and sweet and creamy and perfect on butter crackers. Butterscotch Butter Rum Pudding Cookies - Another SRC recipe, this one for the #SRCHolidayTreats event at the end of November. Lovely lovely cookies - lots of flavor! Crockpot Hawaiian Pulled Pork - This was another surprise to me because again...it's nothing I would necessarily be dying to try if I saw it. 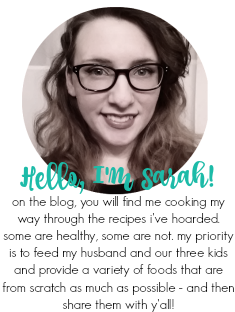 I was like "Oh, this sounds good" and I pinned it and then during the year I craved some bbq pulled pork and chose this recipe because it was paired with pineapple. Again, it's fantastic, but really surprised me by making the top 10 posts of 2015! Applebee's Oriental Chicken Salad Copycat - I expected this one to rank higher because it is the BOMB DOT COM. I still need to go to Applebee's and compare the copycat with the real thing. Also one of my all-time favorite dressings is made with this and that's saying something because I'm not big on honey and I am very picky with salad dressing. Candy Bar Pudding - Another surprise to my top 10...it's a very basic pudding recipe with some Butterfingers. It's definitely worth making though! You can use whatever candy bars you like! Crockpot Creamy Chicken & Green Bean Casserole -This one also has quinoa and bacon, so it's like extra delicious!